When physicians first start their practice, they must take the Hippocratic Oath, promising they will not harm a patient. Unfortunately, each year doctors and healthcare professionals do harm patients, even if it is not intentional. Preventable medical mistakes are a leading cause of injury and death in this country. There are many reasons why medical mistakes and misdiagnoses happen. In cases of gross negligence, doctors display errors in judgment leading to serious consequences. They may operate on the wrong body part or may leave surgical instruments inside a patient during surgery. In cases of general negligence, doctors may fail to order tests when patients present certain symptoms. No matter what has happened to you, if you face additional medical bills, permanent injury or extended hospital stays because of medical error, you deserve answers. You may also be entitled to compensation to help cover your extra costs. To find out more, contact the law office of Shulman Rogers. Our medical malpractice attorneys have more than 40 years of experience dealing with hospitals, clinics, doctors and their insurance companies. We can go over your options so you can make the right decision about your situation. The most fundamental part of medical treatment is diagnosis. When you arrive in an emergency room or doctor’s office with symptoms of an illness or an injury, you expect a doctor to take your concerns seriously and order the appropriate tests. You also expect the doctor to carefully consider your situation to come up with the right diagnosis. Otherwise, you may end up getting inadequate or incorrect treatment. Consider what happens if you go to an emergency room with high blood pressure, chest pains and type II diabetes. Because of your risk factors, you expect the attending doctor to check to see whether you are having a heart attack. If you are misdiagnosed and sent home, the result could be catastrophic. Unfortunately, this scenario is all too common across the country. In some cases, a misdiagnosis can kill you almost instantly. If you are suffering from a stroke, brain aneurysm or other life-threatening condition, prompt, correct diagnosis and treatment is needed to save your life. Cancer is another devastating situation where a misdiagnosis can kill. If you have a tumor or other signs of cancer, it is imperative to do a biopsy and to determine whether cancer is present. Delaying radiation or other therapies can mean you lose the battle with cancer. On the other side, being mistakenly diagnosed with cancer when you do not have it can mean you suffer permanent injury due to radiation, surgery and other cancer treatments you do not need. A misdiagnosis can happen in a number of locations, including at a doctor’s office, emergency room or at the scene of an accident. The liable parties can vary. For example, the mistake may be made by a doctor, by a nurse taking information down on your chart or by lab technicians where the lab tests are sent. No matter what or who has caused your misdiagnosis, contacting a Baltimore, MD misdiagnosis lawyer promptly is important if you want to fight back. 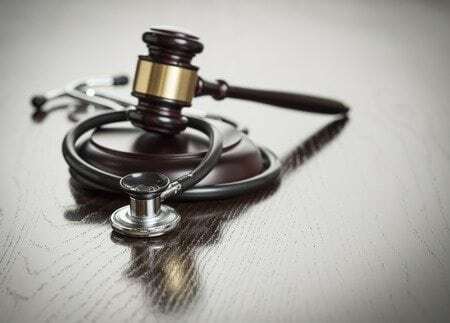 If you think you have been misdiagnosed, contact a misdiagnosis lawyer at Shulman Rogers today. You deserve answers. Our team can help you understand whether you want to file a claim or pursue other options. If you decide to file a claim, we can stand by you during the process and see your claim through to the end. Contact Shulman Rogers immediately for a free consultation. We can offer advice, support and representation. You do not have to fight through medical complications on your own.